Darrell K. Brown, P.A. 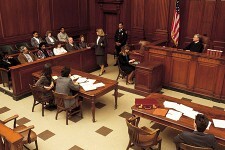 has handled numerous litigation matters including complicated construction litigation, business and estate disputes. If you have a matter that you need motivated and competent representation, then Darrell K. Brown, P.A. is your firm. You will find that our services are provided at reasonable and competitive rates. Contact our firm to schedule a confidential consultation and learn how Darrell K. Brown can assist you with your case. Darrell K. Brown, P.A. has handled numerous collections matters from small claims to larger debts. If you have a matter that you need motivated and competent representation, then Darrell K. Brown, P.A. is your firm. You will find that our services are provided at reasonable and competitive rates. Contact our firm to schedule a confidential consultation and learn how Darrell K. Brown can assist you with your case.